Facebook founder and CEO enjoyed catching a movie at Premiere Cinema 14 near Mobile Bay last night. Attired in his signature hoodie, Mark and his wife Priscilla watched the last showing of "John Wick Chapter 2" starring Keanu Reeves. 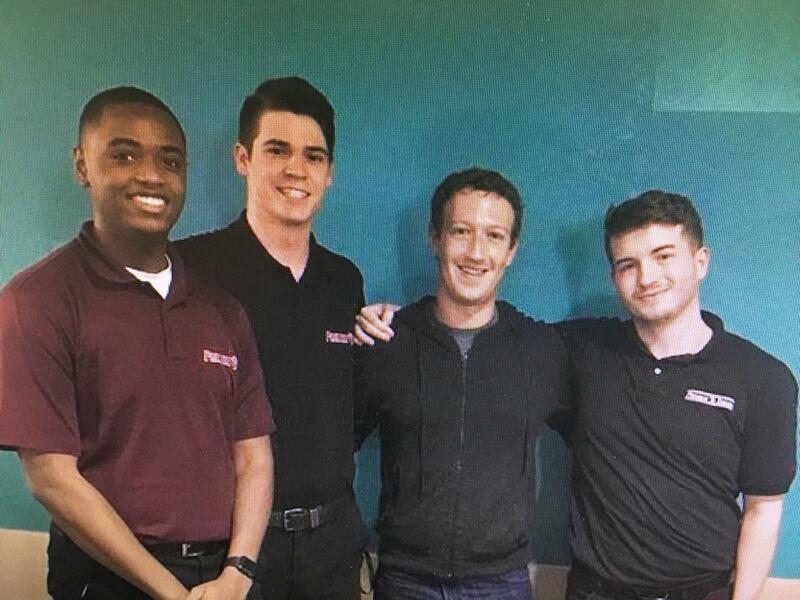 After the movie, the Zuckerbergs introduced themselves and took photos with staff commemorating their visit. 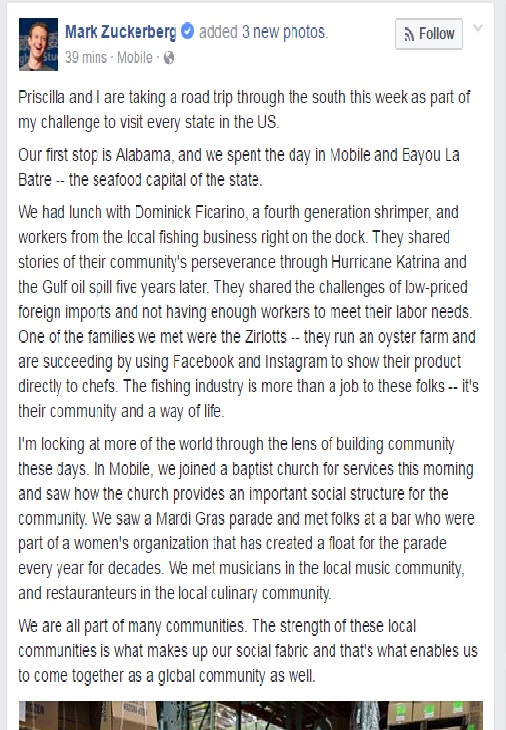 The Zuckerbergs are in the process of making good on their challenge to visit all 50 U.S. states, this week taking in the sights and sounds of the great State of Alabama. Mark's blog from earlier in the day is attached here discussing his experiences thus far in Alabama. Premiere Cinema is located on Interstate 10 east of Mobile, anchoring the Eastern Shore Centre. The theatre has been a fan favorite since it was opened by Premiere CEO Gary Moore in 2008.